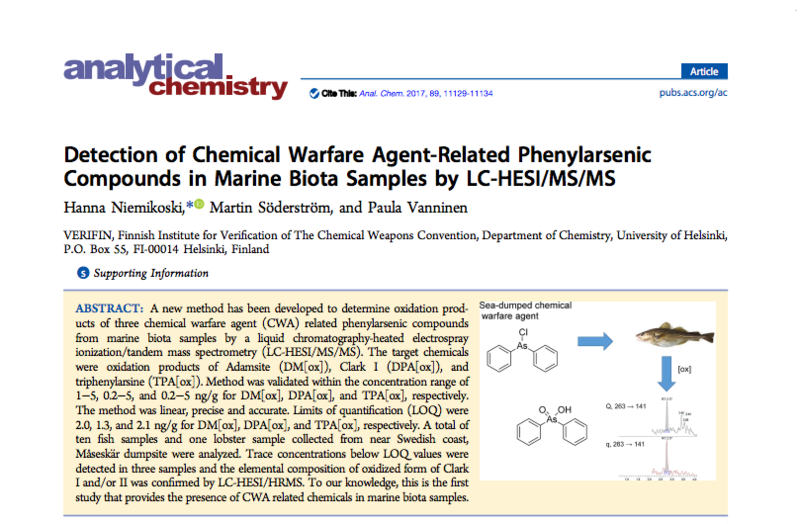 Sustainable management of oil polluting wrecks and chemical munitions dump sites - paper presented at the EGU Meeting in Vienna on 27.04.2017 by Anders Tengberg et al. Opracowanie metody SPME do oznaczania trójfenyloarsyny w osadach dennych Morza Bałtyckiego - article by MUT/WAT, D. Dziedzic, J. Nawała, S. Popiel, J. Choma in Ochrona Środowiska journal, 2017, Vol. 39 (No.4) pp. 9-17. Study on the Kinetics and Transformation Products of Sulfur Mustard Sulfoxide and Sulfur Mustard Sulfone in Various Reaction Media - article by MUT/WAT, S. Popiel, J. Nawała, D. Dziedzic, D. Gordon, B. Dawidziuk in International Journal of Chemical Kinetics, 50 (2018) 75-89. 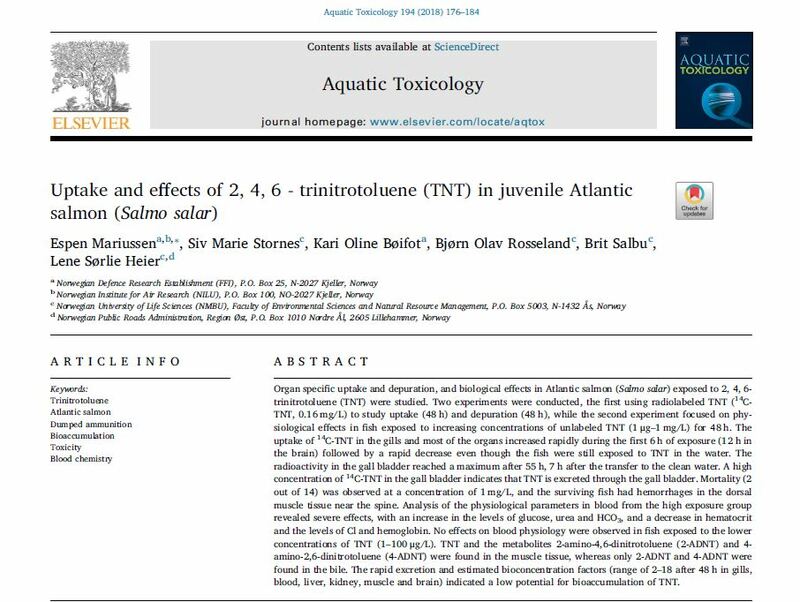 Ecological safety of the Baltic Sea in the aspects of corrosive reprocessing of containers with toxic warfare agents was published in Journal of KONBiN, no. 45 (2018), pp.29-47.